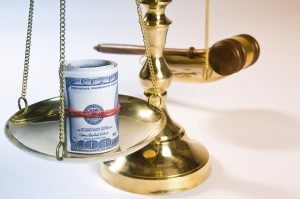 In North Carolina family law cases, a party may seek attorney’s fees in court cases involving child custody and support, and for temporary and permanent alimony, among other claims. With a couple of rare and unique exceptions to the rule, attorney’s fees aren’t usually available to be awarded by the court in equitable distribution cases for division of marital assets and debts. If the court awards alimony or temporary alimony, called postseparation support, the judge has the authority to award attorney’s fees if the financially dependent spouse doesn’t have sufficient means to subsist during the pending case. That means the dependent spouse can’t meet living expenses until the judge enters an order for alimony. As is the case with children’s claims, the court must rule on whether the dependent spouse “has insufficient means to defray the expense of the suit.” These requirements also apply when the dependent spouse files a motion to modify the alimony. NC Gen. Stat. §50-16.4. At the trial, the attorney submits an affidavit about the fees, along with billing statements to show what has been paid. The judge generally confirms the fee is reasonable, considering the attorney’s skills and qualifications, and the type of work the attorney performed. Customarily, the client has to pay the attorney at the beginning of the case. If the fees are awarded, they are either reimbursed to the client or applied to any outstanding balance the client owes to the attorney. As is the case in so many family law cases in North Carolina, the judge has broad discretion when ruling on fees. A judge is free to order some, none or part of the fees requested.